We meet Tuesdays at 6:30pm and Saturdays at 9:00am year round, rain or shine, at the Totem Pole located just east of the intersection of Addison and Lake Shore Drive. We offer a 3 mile course to run or walk, and running courses of 4, 5, and 6 mile distances. All paces are welcome. Someone will run or walk with you at your pace for whatever distance you want to go. 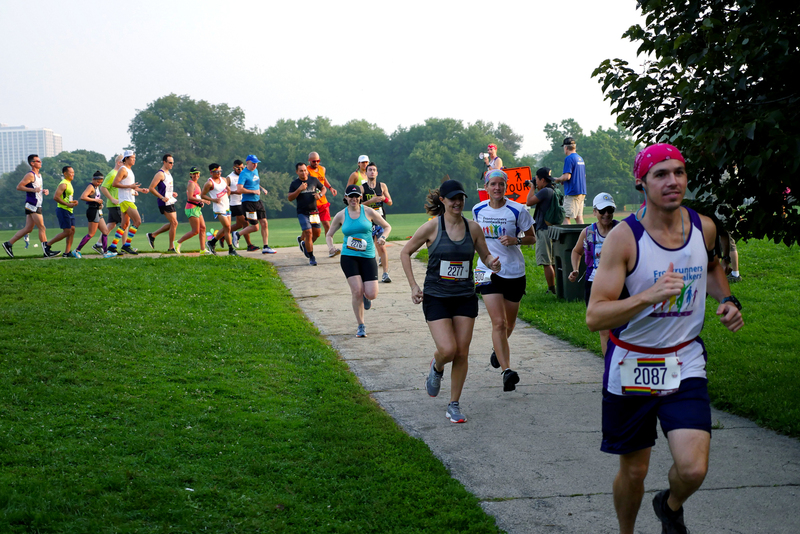 Each year, the club creates a circuit of focus races for which members have the opportunity to run, walk, or volunteer. There is at least one opportunity each month. Club members are encouraged to participate in as many focus races as possible and to wear their club gear to promote the club to the broader population. The 2019 Out in Front Focus Races are listed below. 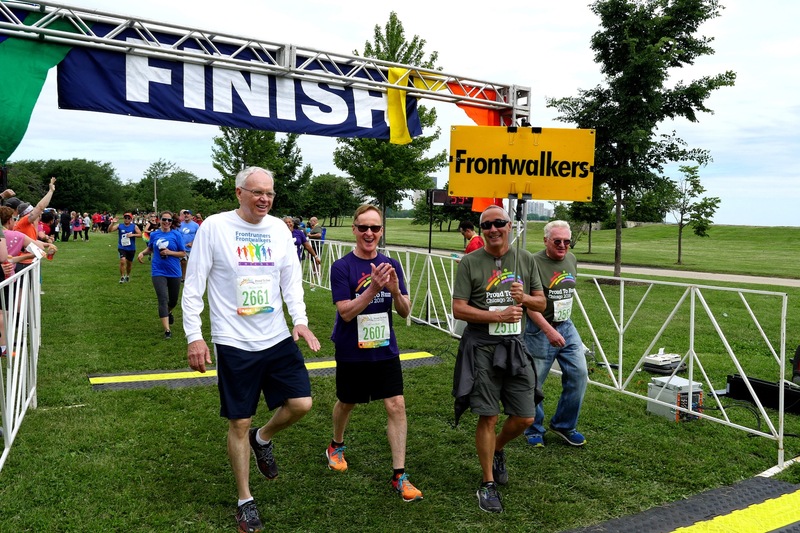 Periodically throughout the year, FR/FWChicago offers various training programs free of charge to club members. Our offerings range from “Couch to 10K” programs to programs designed to build speed and endurance. Below is the 2018 calendar of training offerings. 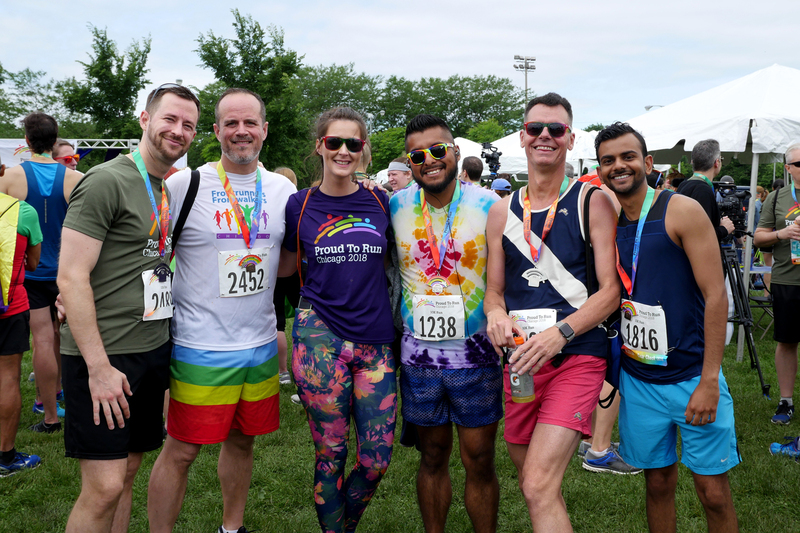 In 2018, Frontrunners Chicago offered a Couch to 10K training program which culminated with Proud to Run and a 10K to Half Marathon training program that will culminated in the Rainbow Half. Both programs were coached by Dan Solera and were offered free of charge to all dues paying members of the club. 2019 Training Program details will be available in early 2019.